I just got a puppy. She is the best and hardest thing to ever happen to this freelancer, no schedule, spur of the moment, girl. I have had to wake up early, think through my day and commit to something. All of these things are made worth it by how cute she is, but what I have found is that there are a few things that have made this transition a lot easier. 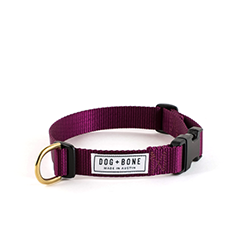 A local Austin company, they produce hand made and locally sourced collars and leashes. 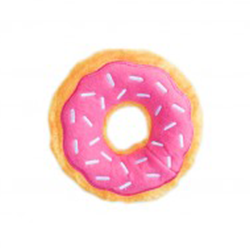 Have you ever seen anything cuter than emoji and donut dog toys? They are Posy's go to toy, and trust me, she has a lot to choose from! Ever need to get anything done without your pup bugging you? Get one of these and freeze some peanut butter in it. It will keep them occupied for an hour! 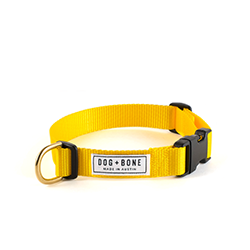 It has also been vital in crate training. Every new puppy needs a blanket! I bring hers every time we go to a new place so she always has something with a familiar scent on it. 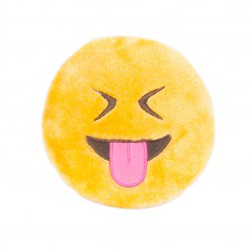 Plus, I found this adorable, pink, one from Target. Pro Tip: Home Goods has the best, and most affordable pet beds! I got the best little grey one for $15.